Sometimes life and business don’t fit into standard boxes. If you’re facing a challenge and don’t know where to start, we’re your people. We have created bespoke art exhibitions for a variety of clients in diverse locations. Take, for example, the RAMPS project – a challenging programme we guided from concept to execution and installation. 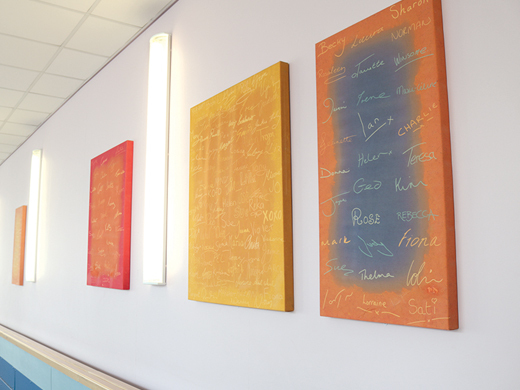 The result completely transformed cold hospital corridors into warm, modern and inviting spaces.